Please note that our Empty Bowls painting cutoff for 2015 was Saturday, November 14th. However, you can paint Empty Bowls anytime during the year! Just let us know you want your bowls donated and we'll make sure they get to The Idaho Foodbank! Who went to the Empty Bowls event the day after Thanksgiving downtown on The Grove? Did you see the 1,246 bowls that Ceramica customers painted and donated this year (photos below)?? We are so appreciative of your overwhelming response to our annual rallying cry to support The Idaho Foodbank! 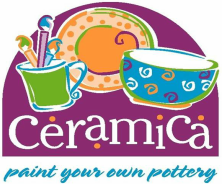 In addition to the 1,246 bowls that were provided for the event, as promised, Ceramica donated your October studio fees of $4,000. Now that will buy a lot of meals for Idaho's food insecure families! Check out the Idaho Foodbank's photo gallery from the event!